She&apos;s here to help! 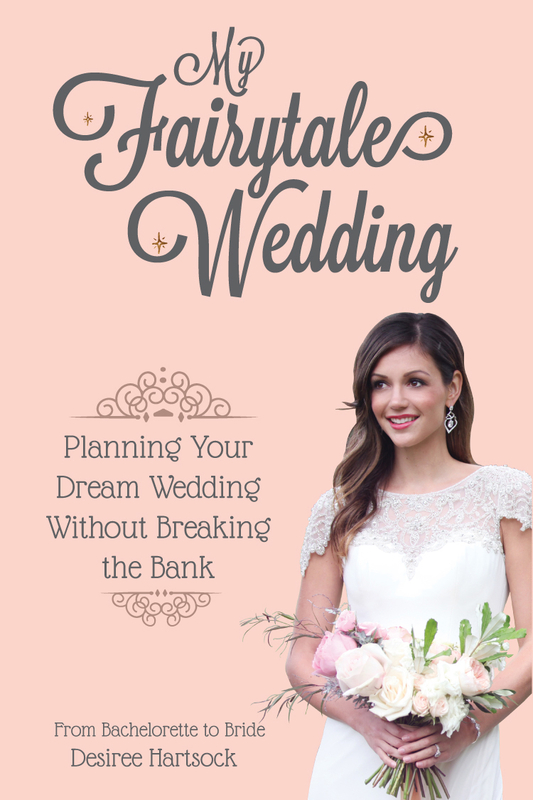 Desiree Hartsock breaks down the dos and don&apos;ts when it comes to wedding planning in her new book, My Fairytale Wedding. The Bachelorette alum opened up exclusively to Us Weekly Video about her latest venture during a recent visit to our NYC headquarters. Hartsock, 30, promises to help readers plan their magical day "without breaking the bank." "It&apos;s very stressful and a lot of people don&apos;t realize how stressful it is," she told Us Weekly Video correspondent Christina Garibaldi. "I think it&apos;s taking a step back to realize why you&apos;re getting married rather than so much as the how or what." Hartsock has a lot of experience in the bridal department. Us Weekly exclusively confirmed in January 2015 that she married mortgage banker Chris Siegfried in Palos Verdes, California, after two years of dating. Siegfried, 30, popped the question during Hartsock&apos;s season 9 finale of The Bachelorette in 2013. The couple will next tackle another milestone — parenthood. Back in April, the aspiring bridal dress designer exclusively revealed to Us that they are expecting their first child together. "I kind of knew, like, ‘You know something, I think I’m pregnant.&apos; We were in Hawaii, when we went for our one-year anniversary. That’s when we took a test and found out!" she said at the time. PHOTOS: Celebrity Brides Who Don’t Wear White: Yellow, Pink, Black and More! Siegfried has been at her beck and call ever since. "I get her whatever she needs," he told Us. "Each day is something new," Hartsock chimed in about her pregnancy cravings. "Like one day I’m like, ‘Babe, I really need Italian.’ And then the next, it’s Mexican, and the next it’s dessert for dinner. He’s just so supportive and if I’m craving ice cream, he’s like, ‘OK, let’s go get it!&apos;"
For more with Hartsock — and her tips for wedding planning — watch the video above!